The Royal Institution of Chartered Surveyors (RICS) has described the housing market as ‘subdued’, noting that new buyer enquiries fell in January for the sixth successive month. In its latest residential market survey, the trade body confirmed that demand declined to some degree across almost every region in the UK, with Scotland the only exception. Even north of the border however the trend was flat. A drop in demand has been accompanied by a fall in new listings also, to the weakest level seen since July 2016, while agreed sales fell further as well. The RICS survey found that sales expectations are negative for the next three months both nationally and across most parts of the UK, though surveyors are positive in expecting sales to rise over the next year. Prices are expected to continue to slip, with London and the south east subject to the most negativity from surveyors. RICS noted that these regions have seen strong house price growth in recent years, making them less affordable. 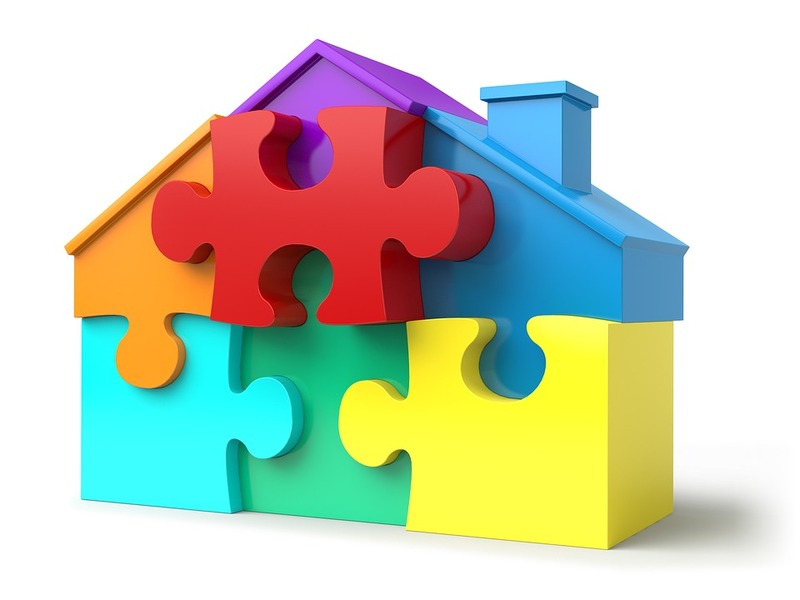 The survey revealed a mixed picture for the lettings market. While demand picked up modestly, for the third straight quarter, new landlord instructions fell for the eleventh successive quarter. Surveyors expect rents to increase by around 2% over the next year. Simon Rubinsohn, chief economist at RICS, noted that while some respondents had enjoyed a stronger start to the year than anticipated, the majority were continuing to find the market a tough one in which to do business. “Resolution of the Brexit negotiations is widely seen as critical to encouraging potential buyers back into the market, although whether that will be sufficient in London and parts of the south east where affordability remains stretched and the tax changes are most penal remains to be seen,” he added. The housing market is creaking, Royal Institute of Chartered Surveyors (RICS) data showed on Thursday, as homeowners increasingly hold off on selling while affordability issues keep many prospective buyers on the sidelines. However, one economist tells us the fog of Brexit that clouds the sector should lift and we can expect house prices to grow in 2019. The RICS house price balance came in at -19% for December, down from -11% previously and much lower than the economist consensus for a -13% reading in the final month of 2019. That is a fourth consecutive negative reading. The balance represents the percentage of surveyors who reported seeing prices increase on their patch during the recent month relative to those who reported declines. A number above 0% means more surveyors saw prices rise, and vice versa. It is derived from survey responses. “It is hardly a surprise with ongoing uncertainty about the path to Brexit dominating the news agenda, that even allowing for the normal patterns around the Christmas holidays, buyer interest in purchasing property in December was subdued,” says RICS chief economist Simon Rubinsohn. Buyer enquiries, new sale instructions and the number of sales agreed all declined during December, on average at the national level. The average number of properties available for sale at individual branches of estate agent has fallen to just 42 of late, close to a record low. The number of new sale instructions declined for sixth consecutive month in December, which the RICS attributes to uncertainty over the impact Brexit will have on prices, while new buyers enquiries fell for a fifth consecutive month albeit at a lesser pace than in November. December’s sales volumes balance was -11% which, although up from -15% previously, marks a continuation of a long and negative trend. London and the Southeast led the downturn in transactions, while some other parts of the UK actually saw a pick-up. The data from RICS comes on the same day the Bank of England reports a sharp decline in demand for mortgages in the final quarter of 2018. The prices balance was -19% for December, down from -11% previously, marking a fourth consecutive decline and the worst reading for this component of the survey since since the height of the Eurozone debt crisis in August 2012. Expectations for prices in three months time were almost as dire as the transaction data for December. Surveyors in all parts of the UK now anticipate that prices in their area will stagnate or decline over the next three months. Above: RICS graph showing surveyors’ price expectations. The three-month balance of sales expectations was -28% for December, the poorest reading since the survey began back in 1999. However, on a 12-month basis the outlook is a bit brighter. A majority of surveyors anticipate that house prices will rise over the next 12 months, with both RICS and independent economists linking this to the timeline of the Brexit process. By January 2020 the UK’s path out of the European Union should be clearer, if the country departs the bloc at all. “We continue to think that Brexit uncertainty will subside soon, as the government is forced to pivot towards a soft Brexit with only limited economic consequences; that shift, in turn, should help consumers’ confidence to recover and restore some life to the housing market. Nonetheless, the MPC will have to start raising Bank Rate at a faster rate than in recent years soon,” says Tombs. 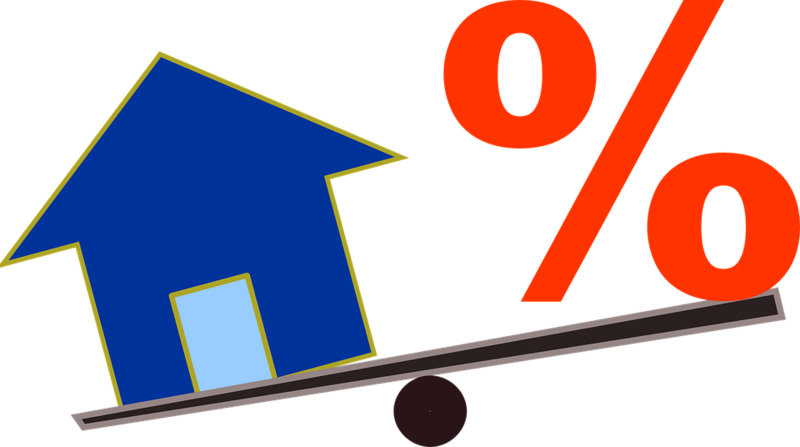 Tombs forecasts that UK house prices will rise by only 2% on average in 2019 thanks toBank of England (BoE) interest rate policy, which is expected to exacerbate affordability challenges by pushing up the cost of mortgages. The Bank of England is widely expected to raise interest rates again in 2019, taking the bank rate up to 1% and marking a third increase since November 2017. It could move as soon as April, although the exact timing of any hike will depend on the outcome of the Brexit process. Above: Pantheon Macroeconomics graph showing historical price changes. The housing market is continuing to take a hit as Brexit uncertainty wages on. Property prices have seen a monthly marginal drop, according to the latest UK House Price Index (HPI) released on Wednesday. Property prices across the nation fell by 0.1% between October and November 2018, according to the HPI’s monthly estimates, based on sales data from the HM Land Registry, Registers of Scotland and Land and Property Services Northern Ireland. In England, the average house price fell by 0.1% between October and November, with the regional data showing the North East saw the greatest monthly price rise of 1.3%, while Yorkshire and the Humber saw the most significant drop, down by 1.3%. But it’s not all doom and gloom — the HPI also shows that UK property prices have risen by 2.8% over a year. Prices in England grew by 2.6%, taking the average property value to £247,430, and data shows the West Midlands saw the greatest price rise of 4.6%. Things continue to look bleak in the capital, however, as London house prices saw the biggest price fall of 0.7%. House prices in the capital have been falling month-on-month since July 2018. The report also revealed that there were 419 repossession sales in England in September 2018. The lowest number of repossession sales was in the East of England, where there were only seven, while the highest was in the North West, where there were 98. Things look better in Wales, where property prices are on the up, rising by 0.2% since October and 5.5% over the year, taking the average property price to £161,499. 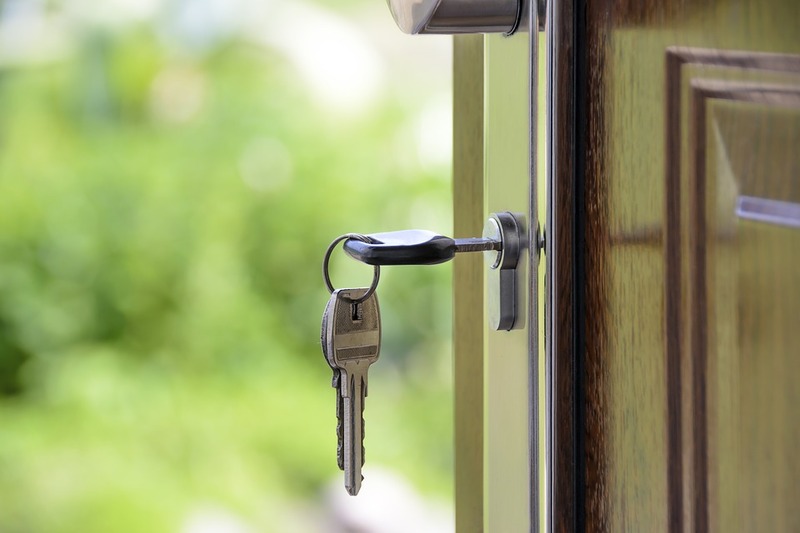 There were 39 repossessions for sale in Wales in September 2018. Andy Solomon, property expert and CEO of internet marketer Romdel, said: “If the relative calm before the storm has brought out a further reduction in house prices, transaction levels and buyer interest, one must wonder what the forecast will be now the political headwinds have hit gale force level following yet another disastrous Brexit vote. Britain’s passion for rising house prices is both strange and irrational because by any yardstick a surging property market is bad news. It makes people feel wealthier than they actually are and so encourages them to take on more debt than they can afford. It diverts investment from more productive uses. It helps those who own housing assets at the expense of renters. And for every boom there is a reckoning, often extremely painful. As a result, there are two possible responses to the forecast from the Halifax that house prices will rise by 2-4% in 2019. One is to treat only modest house price inflation as some sort of national tragedy. The other is to hope that Britain’s biggest mortgage lender has got it right. Response number two is the correct one. What’s happening in the residential property market has nothing really to do with Brexit – not yet, at least. Clearly, a disruptive, unplanned departure from the European Union at the end of March would have serious consequences, which is why the Bank of England has stress-tested the high street banks to see whether they could cope with a 30% drop in house prices. But the reason house price inflation has been moderating in 2018, and is likely to remain modest in 2019, is really an inevitable correction to the overblown market conditions in the middle of the decade. Record low interest rates, freshly minted money courtesy of the Bank’s quantitative easing programme, subsidies to homebuyers provided by the Treasury’s help-to-buy programme, a rising population and very low levels of housebuilding combined to provide the perfect conditions for a boom. All the usual things happened. A rising property market generated a feelgood factor. Property owners spent more, with knock-on effects for the rest of the economy. Imports went up, leading to a widening trade deficit. And the next generation of first-time buyers was squeezed out of the market. In the past – in the early 1990s, for example – rising interest rates have brought property bubbles to a rapid and painful end. This time, though, the Bank kept official borrowing costs low, which meant the UK avoided the negative growth and longer dole queues that in the past have led to falling house prices. Potential housebuyers found prices far too high, even with mortgage rates low. But with employment at record levels, sellers found themselves under little pressure to drop excessively high asking prices. The upshot has been a standoff that has seen low levels of activity and houses only gradually becoming affordable. This process is far from over. Houses will become more affordable as asking prices come down and earnings pick up, but this is going to take time. In London and the south-east, it is still almost impossible for a first-time buyer to raise the necessary deposit unless they have the facility to make a cash withdrawal from the bank of mum and dad. If anything, the Halifax forecast looks to be a tad high. The economy has slowed since the summer and the Bank of England is sufficiently worried about inflation to be considering raising interest rates if there is a smooth Brexit. A more likely outcome is that house prices will move sideways during 2019. The energy industry likes to point to the market’s 70-plus suppliers as a sign that the sector is thriving and competition flourishing. But there is no masking the fact that this has not been a good year for the image of challenger firms. The price increases of the big six – British Gas, EDF Energy, E.ON, Npower, Scottish Power and SSE – still rightly command negative headlines, given how many households they affect. However, the reputation of small suppliers jostling to unseat them has been tarnished, not least after eight collapsed this year. That matters because the cost of picking up the pieces is borne by all energy consumers. As the former chief regulator Stephen Littlechild has pointed out, “prudent suppliers” and their customers are bailing out the “imprudent ones”. Small suppliers have also topped the tables for worst customer service. Several of these, such as Iresa and OneSelect, have since gone bust. It emerged this week that five of the biggest price increases this year came from small players. The worst was Economy Energy, which incredibly put up customers’ bills by 38%, or £311 a year, in a single blow. Concerns over challengers’ viability and service have led Ofgem to consider tougher rules for new entrants. That is a welcome move but it would be a mistake to buy into a big-six-friendly narrative that tars all small suppliers with the same brush. The truth is that while there are some bad apples in the basket of challengers, they nestle among the finest in the market. Happy Christmas? HMV is calling in administrators and the next two or three weeks threaten to be a litany of doom for the retail industry. Next is set to kick off the annual festive trading statement season on 3 January, but fears remain that names such as Debenhams, Marks & Spencer or Mothercare may have to issue a profits warning early next week after poor seasonal trading. It is a tense time for Debenhams, where the retailer’s major shareholder, Mike Ashley’s Sports Direct, is poised to capitalise on any further financial distress. Ashley is no doubt keen to find a way to prop up recent purchase House of Fraser, which is sharing Debenhams’ pain in tough clothing, beauty and homewares markets. Unseasonably warm weather, a general slowdown in spending on “stuff”, a lacklustre housing market and the uncertainty of Brexit have combined with increased competition from online specialists such as Boohoo, FeelUnique and Cult Beauty to put department stores on the rack. The likes of Mothercare, FootAsylum, John Lewis and Dixons, the owner of PC World and Carphone Warehouse, face similar pressures. M&S and Next largely stuck to their tactic of holding off on major price cuts until late December. It will become clear if ducking the festival of discounting across the rest of the high street paid off in profitable sales or lost them a big chunk of market share. It’s possible that they benefited from holding firm until the surge in trading in the last three days before Christmas. It’s clearly been gloomy on the high street, with the number of shoppers down on last year. But the biggest battle has been played out less visibly, with delivery vans and parcels. HMV’s troubles highlight the online onslaught. With all retail sales growth online, the next few weeks will reveal which retailers grabbed a slice of that action and which are lost in the post. Halifax has predicted broad stability anticipated in house prices next year with between 2% and 4% price inflation, though this is dependent on the Brexit outcome. The Halifax UK Housing Market Outlook for 2019 also predicted shortage of homes for sale and low levels of housebuilding will continue to support high prices, constraining demand. Russell Galley, managing director, Halifax, said: “The housing market in 2018 followed a similar trend to recent years. In line with our expectations, house price growth slowed whilst building activity, completed sales and mortgage approvals all remained relatively flat. “This was driven by a combination of continued uncertainty regarding the future growth prospects of the UK economy, and the ongoing challenge faced by prospective buyers in building up the necessary deposits. “Looking ahead, aside from the obvious political and economic uncertainty, the biggest issue for the housing market in 2019 will be the degree to which mortgage payment affordability changes. The outlook found housing market performed in line with expectations over the past year, at the lower end of our forecast 0% to 3% growth. Galley added: “Despite current political upheaval, and on the basis that it is still most likely that the UK exits the EU with a form of withdrawal agreement and transition period, we expect annual house price growth nationally to be in the range of 2% to 4% by the end of 2019. “This is slightly stronger than 2018, but still fairly subdued by modern comparison. However, the uncertainty around how Brexit plays out means there are risks to both sides of our forecast. The national housing market is running out of puff. But there are still plenty of regional bright spots. “Lethargy is replacing energy” in the property market. These were the cheery words of a former chairman of the Royal Institution of Chartered Surveyors (Rics) in reaction to Halifax’s latest house-price index. In the three months to November, house prices were 0.3% higher than in the same three months a year earlier, with the average cost of a home now £224,578. This is down from the 1.5% annual growth recorded in October, and the lowest rate of growth since December 2012. But while this isn’t exactly a ringing endorsement of the state of the UK housing market, it’s important to look beyond the inevitably gloomy headlines. In the 12 months to September, the parts of the UK that saw the biggest drops in house prices were both in London – in Kensington & Chelsea and Westminster, with annual drops of 9.9% and 6.3% respectively. The areas with the strongest growth were the Forest of Dean and Burnley. In both places, house prices rose by approximately 10.5%, according to figures from estate agent Savills. They were followed closely by Stirling, with a 10% increase. With house-price growth at its lowest rate in six years, the overall market as a whole is certainly sluggish. In cities and major towns across Britain, properties are taking longer to sell, sitting on the market for 102 days, which is six days longer than in 2017, according to the Centre for Economics and Business Research. Moreover, the average number of sales per surveyor has fallen fallen to 14.1 across a three-month period, the lowest it has been since 2009, says Savills, drawing on data from Rics. However, it’s useful to acknowledge the extent to which the wider market can be brought down by price falls in the southeast, which has been overvalued for a long time. Of the 20 cities monitored by the Hometrack UK Cities House Price index, prices fell year-on-year by 0.4% in London and 1.1% in Cambridge. Yet prices were up 7.7% in Leicester, 7.4% in Edinburgh, and around 6% in Manchester, Birmingham, Nottingham and Liverpool. There’s also been a lot of discussion of the idea that the UK market is struggling because people looking to buy are biding their time on Brexit. Yet there’s actually “little evidence that Brexit uncertainty has led to pent-up demand in the housing market”, says consultancy Capital Economics. If it has dampened transactions, the effect has been “minor”. Since the referendum, housing transactions have averaged 100,000 per month. That’s down only a little, relative to the average of 102,000 seen over 2014 and 2015. There is obviously a case for suggesting transactions might have gone up if we hadn’t voted to leave the EU, acknowledges Capital Economics. But “a multitude of non-Brexit related factors have been weighing on activity in recent years”. These include higher stamp duty for second homes, lower mortgage interest tax relief, and rising interest rates driving up the cost of borrowing. “So even if a Brexit deal is struck, we see little prospect of a rise in housing transactions next year.” Now is not the ideal time to sell your London home. And the stagnant number of transactions is hardly encouraging for estate agents and surveyors. But for most of the UK, the housing market is actually holding up reasonably well. The North West is the top hotspot for rental yields with an average yield of 5.4%, followed by Scotland with 5.3% and Yorkshire and the Humber with 4.9%, Shawbrook Bank has found. Lower property prices mean it is easier to achieve better rental yields and the city is attracting students and employees from all around the country. The average UK house price is currently £228,000, which is 43% higher than the average house price in the North West – £159,000. Emma Cox, ‎sales director for commercial mortgages, said: “Landlords have had a rough ride over the past few years with multiple tax changes, but our research shows that it’s not all doom and gloom for potential investors in 2018. “Lower rental yields in London and affordability constraints for investors has driven interest North, where borrowers are chasing the yield and heading to locations with lower average house prices. “There are still interesting times ahead for savvy investors and good investment opportunities remain. “However, when landlords invest far away from their home turf, they can run the risk of falling foul to local knowledge. The ‘UK Buy to Let’ report, produced by Shawbrook Bank and compiled by the Centre for Economics and Business Research (CEBR) has predicted annual property price inflation to be more subdued in the five years up to 2023 than over the last few years. The report forecasts average annual house price predictions for the years 2017 to 2023 to be at 4.5%, compared to an average of 7.0% for the high-growth years of 2014 to 2016. Stretched affordability ratios, years of weak wage growth and the prospect of further interest rate rises all weigh in on the outlook for house prices in the UK for the next few years. House price growth has slowed in the capital particularly, with Brexit and the resulting uncertainty regarding the future of the financial services sector in the City of London looming over activity in the prime end of the market as have higher stamp duty land tax rates. The report expected price growth in London to continue to trail behind the rest of the country for the next two years. Furthermore figures from estate agent Aston Chase already show the percentage of high-end purchases from overseas in London’s most expensive postcodes dropping from 44% in 2016 to 35% last year. According to mortgage lender Halifax, house prices in the UK dropped unexpectedly for nearly six months in September, as the number of homes for sale this year dropped to a decade low. The country’s largest mortgage lender said that the average price of a home in the UK dropped in September to £225,995, a reduction of 1.4% from the average reported in August. Property prices still remain 2.5% higher than they were a year ago. City economists had anticipated month-on-month expansion of 0.2% last month. The most recent overview of the UK housing market, taken only six months before Britain leaves the EU, indicates reduced levels of demand for homebuying amid the political uncertainty created by Brexit. Economists responded that the picture presented by Halifax concealed some regional variations. Although Brexit property prices in London are dropping for the first time since 2009, prices elsewhere are going up. They also warned that the Halifax house price index is more subject to change than other residential property barometers because it is done every month. Earlier this week, the Prime Minister announced that the British government would raise the cap on the amount that local councils can borrow to build homes, which can help increase the number of homes produced by local authorities. Many people are being priced out of the market by high average property prices relative to household incomes, which in turn is impacting the rate of Brexit property price growth. The Bank of England has also started to slowly raise interest rates, which in turn causes mortgage costs to go up. Pantheon Macroeconomics chief UK economist Samuel Tombs said that not many British households believe that housing is a wise investment at the moment. Mr. Tombs explained that the combination of heightened economic uncertainty and growing mortgage rates will impact demand in the months leading up to Brexit, ensuring that house price growth barely passes zero on a year-over-year basis. Halifax reported a steadying of house price inflation as last month’s prices dropped to their lowest since May. The latest Halifax house price index found annual growth slowed to 2.5 per cent in September from 3.7 per cent in August, as quarterly change – July to September – remained at 1.8 per cent for the second month. On a monthly basis, house prices fell by 1.4 per cent in September to sit at an average of £225,995 – the second consecutive monthly fall and down from July’s year high of £229,776. Russell Galley, managing director at Halifax, said the measures suggested house price inflation was steadying. He said: “This is set amongst mortgage approvals and completed house sales remaining broadly unchanged, although a gradual pickup in wage growth has helped to support household finances. Kevin Roberts, director at Legal & General Mortgage Club, said limited housing supply was still hindering the ambitions of borrowers in the UK. 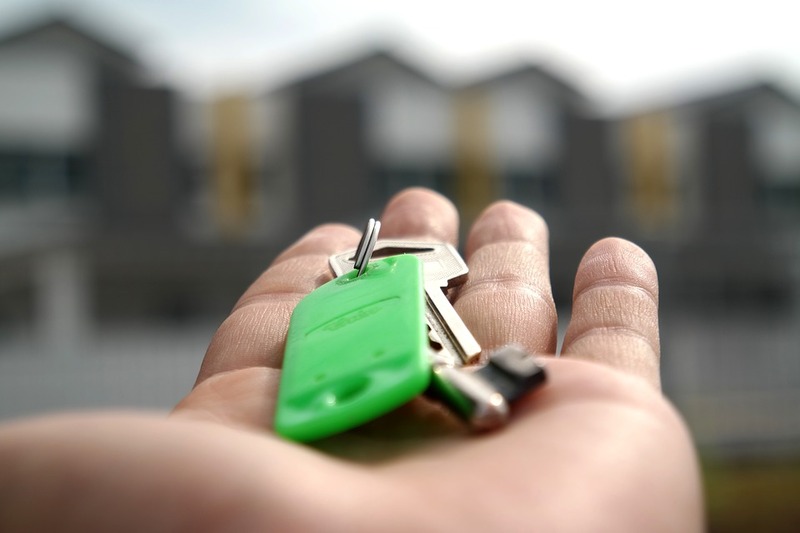 He said: “Whether it is first-time buyers, second steppers or people looking to downsize, a lack of suitable housing is still preventing many from making their first or next purchase. 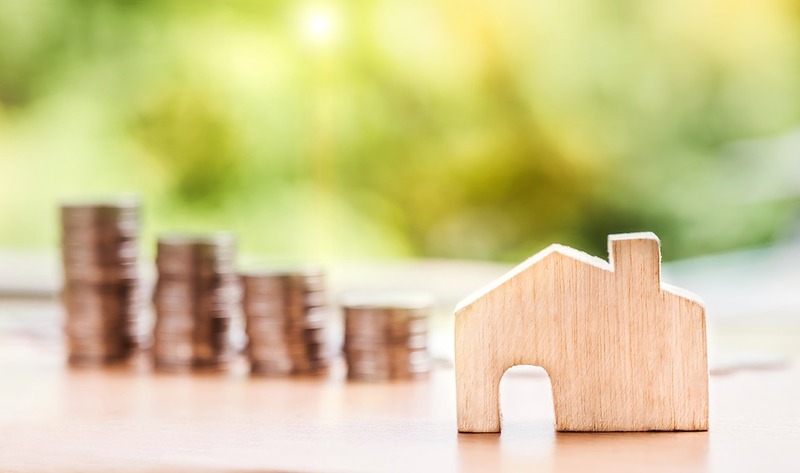 Steve Seal, director of sales and marketing at Bluestone Mortgages, said despite the steadying in price growth there were still “significant” barriers when it comes to securing funding. He said: “Whilst the average growth of house prices remains steady, this does not necessarily mean all doors are open for aspiring homeowners. “Lifestyle and financial habits are changing – and it is unfair that some potential buyers are turned away for not fitting an outdated computer scoring system. Mr Seal said these customers instead need a personalised underwriting experience that ensures the nature of their situation is fully understood. A panel of industry experts has agreed that the outlook for property investment in the UK remains positive, despite the uncertainty around continued Brexit negotiations. Paresh Raja, chief executive of Market Financial Solutions, said that although there’s much certainty, the ambiguity has not dampened the spirits of prospective homebuyers and property investors. He said: “Historically, real estate has proven itself to be a safe and secure asset by offering stable, long-term returns. “As a result, demand for property remains high. Recent figures revealed that the average house price in the UK rose by 3% in the 12 months to June 2018 and this positive trend has been met with enthusiasm from landlords, with new research saying that more than half feel positive about the current state of the market. Mario Berti, chief executive of Octopus Property, agreed, adding despite wider market uncertainty, the returns available from owning, investing in and developing the right type of real estate continue to be favourable versus other asset classes, something that we expect to continue moving forward. And this positive sentiment is reflected by James Bloom, managing director of short term lending at Masthaven. He said that while the UK has suffered a housing slowdown, with many investors choosing to hold until market conditions become clearer after Brexit, the market continues to be upbeat. Bloom added: “The short-term sector has remained buoyant and continues to perform well. We are seeing more new entrants coming into the market which is increasing competition and providing customers with an even wider choice of products. Intermediaries can learn more about upcoming developments and the future of the market after March 2019 at The Finance Professional Show, which takes place at Olympia London on 7 November. 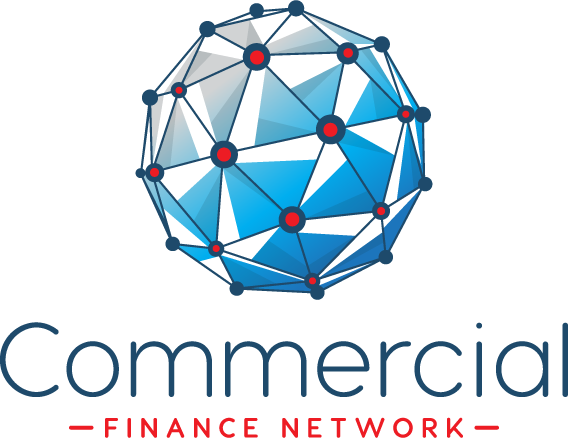 The show features a CPD-certified multi-format conference programme, with an opportunity to quiz industry experts on their view foe the market, and almost 100 lenders and providers, including Market Financial Solutions, Octopus Property and Masthaven. This year’s show takes from 9.30am to 4.30pm and is sponsored by 365 Business Finance, Market Financial Solutions, Octopus Property, Kuflink Bridging, Just Cash Flow and Nucleus Commercial Finance.